During the four year WWI centenary some may, like me, have had the opportunity to travel to Amiens in Northern France, and to the region of the Somme, there finding resonance with particular family histories. In March, this year, reflective walks through the central quarters of Amiens, including the cathedral square, with its magnificent, 13th century Gothic cathedral, revealed photographs of soldiers of the First World War; a presence appearing on walls and facades as living history; an outdoor art exhibition of striking impact, making evident a legacy, that lives ‘Among Us’, the title of this large-scale installation. And some of these sepia and black and white photographs included images of soldiers from across the world; of African and Indian Sikh origin, emphasising the global reach of the Great War ‘ to end all wars’: the diversity of contributions. In the second of four WWI commemorative illustrated talks, organised by the Dunsden Owen Association, Inderpal Dhanjal, gave a very informative presentation on the theme of ‘Indian Soldiers in the Great War’, detailing the history – economic, social, and military – of the Indian contribution, sacrifice and cost; in so doing, emphasising, as in the Amiens outdoor exhibition, that such a legacy must continue to live among us; and arguing for just recognition, in educational curricula and wider society, of this still largely hidden history. Inderpal Dhanjal is Chairman of the Legacy of Valour Society, a volunteer organisation begun in 2014, to research and disseminate Sikh and other Indian contributions to both World Wars; and with the intention of recognising fully those ‘who gave their lives for the freedom of Britain and Europe’. Much detailed research, some data having been made available only over the last five years, has led to the production of a travelling exhibition, themed as, ‘Legacy of Valour: The Sikh Soldiers’ Contribution to World War One’, first hosted by Reading Museum, and later by the Houses of Parliament; and in 2015, to a Collections Trust exhibition community prize award. Current research on the part of the Society focuses on the Second World War; and anticipates a further exhibition in 2019. 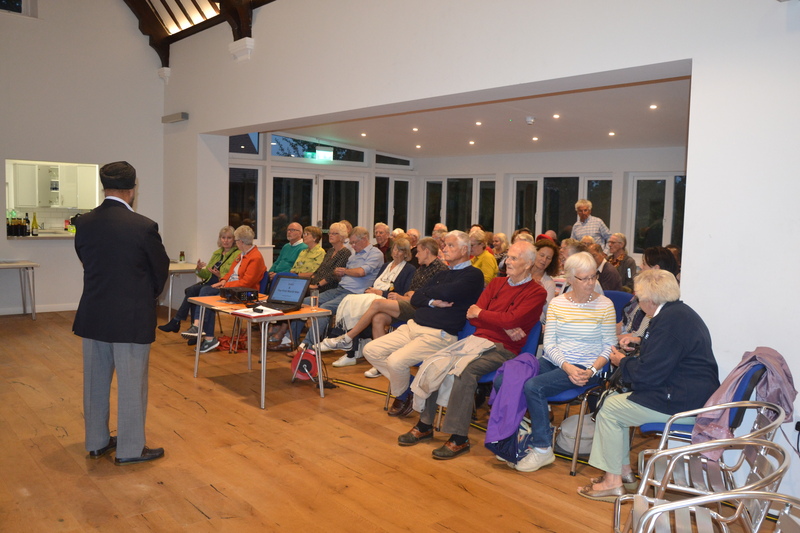 This well-attended and engaging second talk of the series was rounded with time for questions from the audience; and then informal convivial talk over refreshments, including tasty Indian snacks.Throughout, comfortably seated in the recently refurbished Dunsden Village Hall, the audience was in view of a series of Wilfred Owen display panels, produced to mark the re-opening; and there was within a keen, quiet sense, in the poignancy of the theme, that his legacy too was Among Us. The next talk in this series is on Tuesday 9 October, also in Dunsden village hall, when Robin Sanderson & Richard Compton will discuss the role of tunnellers in WW1. The final talk is on November 27 and concerns Quakers and peace, then and now.